Daiso Buys – Lashes, Shadows and More! Today, I want to talk about Daiso makeup. As a warning, most if not all of the eyeshadow products talked about here contain Talc, so if you are allergic to it, I suggest that you stay away from these products. 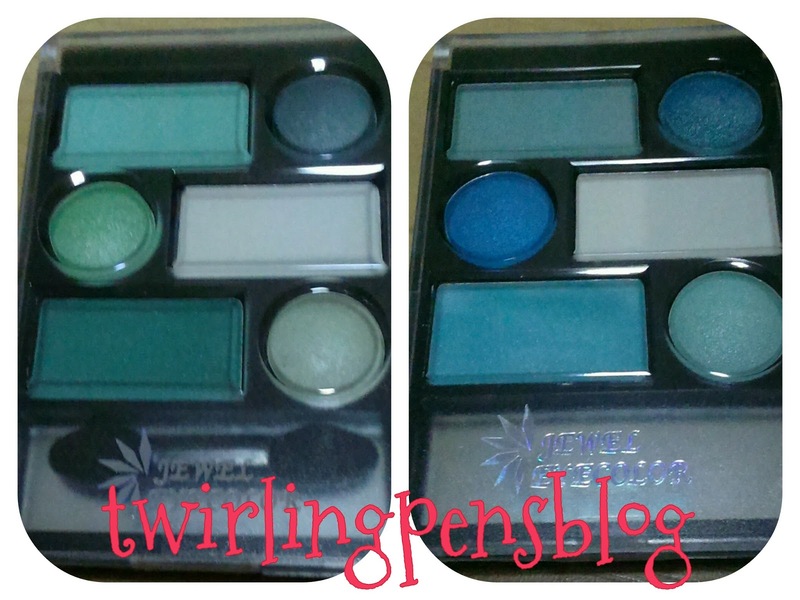 Only the green and blue eyeshadows remain. I mean, they are nice colours, but what I wanted was the reds and purples. AT SGD2.00, they were amazing quality and worth the money. It’s hard to find cheap colourful eyeshadows, especially with a student budget. Thankfully, I kept the Ellefar Princess Chiffon Eyeshadows. I believe I wanted to recycle the packaging, which was very princess-y but not tacky. 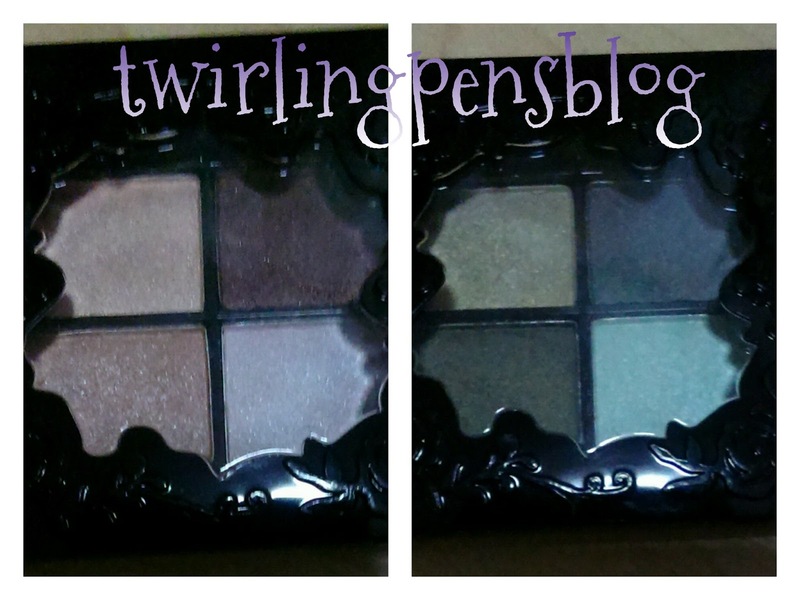 I still have the Etude House Bloody Halloween Eyeshadow Palette, but it wasn’t the same. 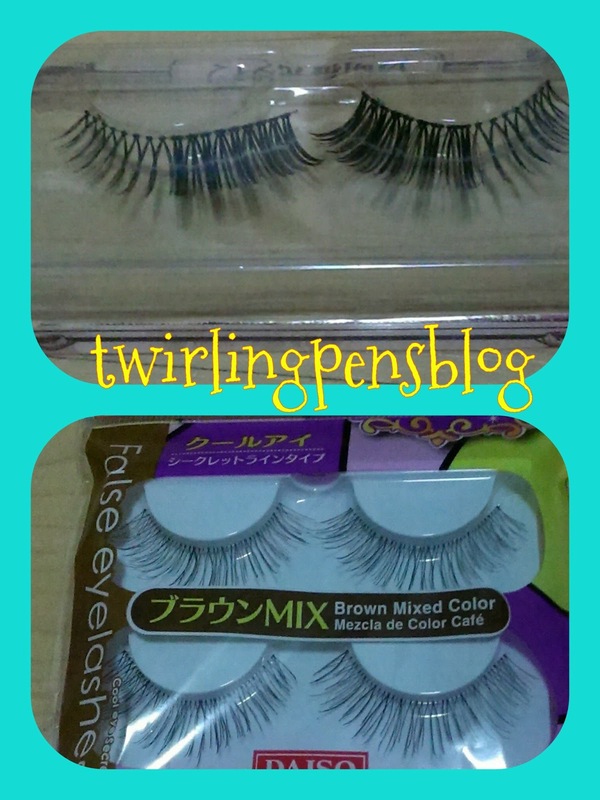 Another item that I’ve bought from Daiso is false lashes. The top left picture was the first set of lashes I’ve bought since my friend told me that Daiso makeup are all cheap and not good for your health. It doesn’t look very clear, but all the lashes have invisible bands. I wanted to try these, because I heard that they are much more natural than those with clear black bands. If you look at the picture on the right, it might seem as though I have applied eyeliner to my eyelids, but actually I only tightlined my upper lashline. It still has the waxy look of cheap lashes, but it still looked fairly natural, as the whites of my eyes are still visible. 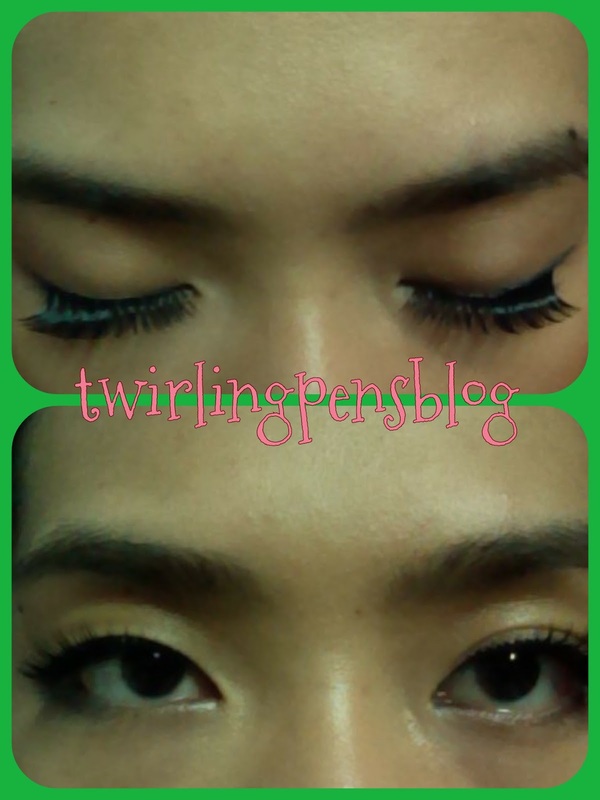 I’ve also just recently tried the false lashes on the bottom left picture. It’s much more natural than the one above, but it’s also much longer. There are some very faint brown lashes, and because of how thin the lashes are, you have to be very careful when cleaning them, especially when you try to cut the lashes into sections to paste them on. I highly recommend not cutting these lashes, because it ruins them. You have to practice constantly to really paste the lashes on, but I assure you that it is worth it. You might also want to trim the lashes, because they really are very long. It almost reaches my eyebrows, and can look quite tacky if you leave it as is. So here’s what I’ve bought:) I really hope Daiso brings back the red and purple jewel eyeshadows.